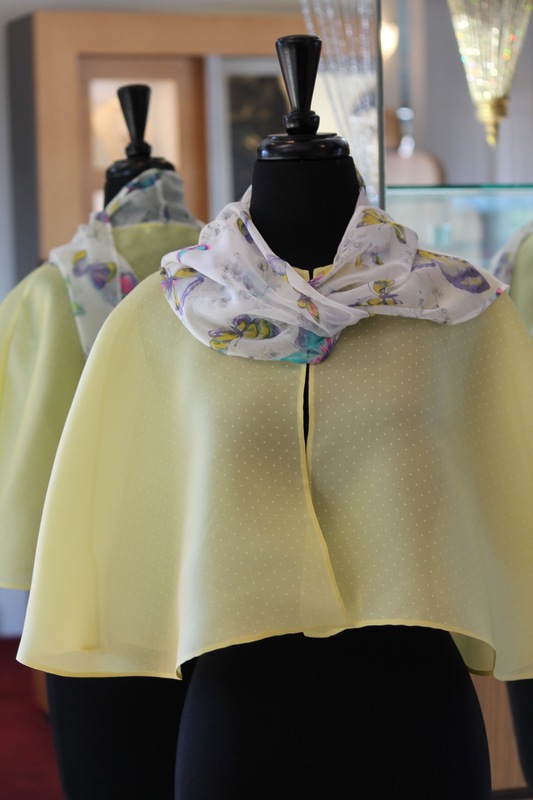 Mini Capes fall just above the elbow–worn like a large wrap over an evening dress or strapless summer top. 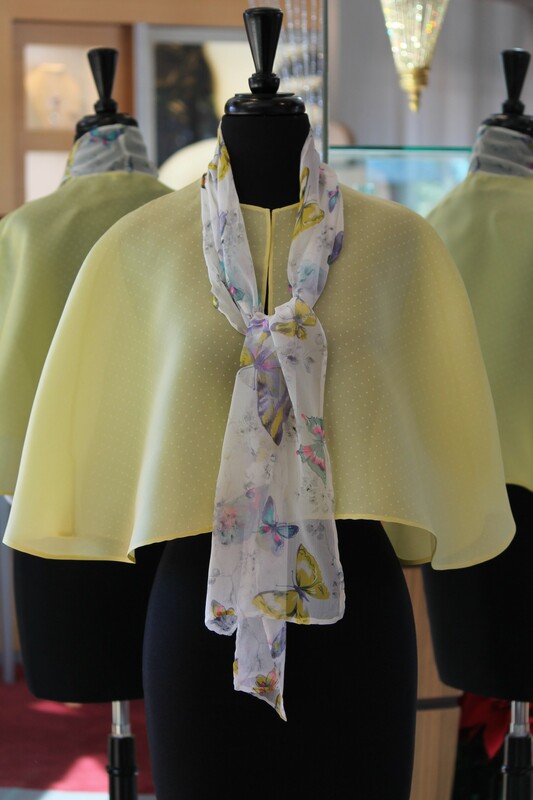 The chiffon scarves can be tied in front, worn flowing down the front or tossed over the shoulders! All soft and silky–true luxury….